Acupuncture Gift Vouchers. The Torbay Acupuncture Centre, Torbay. Torbay Acupuncture Centre gift vouchers are a great way to pass on the gift of health to all your friends and loved ones. £30 – This includes an initial consultation and acupuncture treatment. 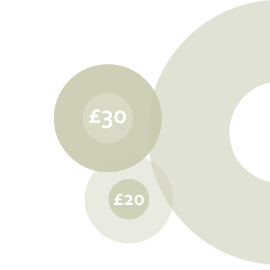 £20 – This is for follow on acupuncture treatments. If you would like a different denomination just email us and let us know and we can make them up for you, or you can buy them on-line below. Please follow the link and enter the total value in pounds you require and we will post them on. For more information about our acupuncture treatment costs please follow this link Acupuncture Prices.